I’ve just been reading a paper by Agnete Wiborg (2001) about the experience of students from rural Norway in their transition to higher education. A recurrent theme in the paper is about the egalitarian nature of Norwegian society and how this is a challenge for students who progress to higher education, because they feel that they have very little in common with those they leave behind, but find it difficult to talk in terms of these social differences – becoming as a result quite ambivalent about their transition to higher education. I thought this was really interesting because in my first piece of research in Orkney (for my masters) I found evidence of a similar cultural egalitarianism meaning that recent graduates living in Orkney tended to downplay their higher education experiences. At the time I linked this with some evidence from rural studies that smaller rural communities tend to be characterised by certain values – with egalitarianism being one (Alexander, 2013). However, I am increasingly wondering whether this rural tendency to egalitarianism may be accentuated in the communities of Orkney and Shetland because of a potential Norwegian cultural inheritance? After all Orkney and Shetland were actually annexed by the Norwegian Crown from the 10th century and only became part of Scotland in 1468 (as part of a dowry). Even after that date remnants of Norn language remained right into the 18th and possibly 19th centuries in the islands, and a great deal of the material culture of Orkney and Shetland dates back to viking times – such as the runic inscriptions in the tomb of Maeshowe in Orkney, the St Magnus Cathedral in Orkney and Jarlshof in Shetland (to name but a few). Even in recent times the link with Norway is strong – with the “Shetland bus” a key communication channel between the UK and Norway during the Second World War, and with industries such as oil and gas and fishing based in the North Sea attracting islanders and Norwegians alike. Indeed there are ‘friendship associations’ in both island groups with Norway, and exchange programmes have been regularly available for young people from the islands to visit communities such as Voss and Hordaland. On top of all of this the world famous “Up Helly Aa” festival in Shetland is a celebration of the islands’ viking inheritance, and even the ferries to the mainland of Scotland have a viking painted on the side of them! Categories: Uncategorized | Tags: Agnete Wiborg, Centre for Nordic Studies, Egalitarianism, Equal, Equality, Hjaltland, Ingrid Bardsdatter Bakke, Law of Jante, Northlink, Norway, Orkney, Sandemose, shetland, Viking, Viking Studies | Permalink. decisions and economic outcomes in Orkney and Shetland. The paper unpacks some of the theoretical background to my research and discusses some of the initial findings from the first interviews in the project. I have summarised some of the key points from my paper below. So in terms of the background to the project I start by discussing the potential role of place in shaping individual decisions. In order to do this I draw on the theoretical framework of Bourdieu, who broadly looks at the way that our social environment can become internalised and influence the decisions that we make (the internalised social environment is our ‘habitus’). Through this use of Bourdieu I challenge rational models of decision making which tend to assume that career and migration decisions are made on a purely economic basis, and suggest that social and cultural aspects of our environment also impact on our decisions. 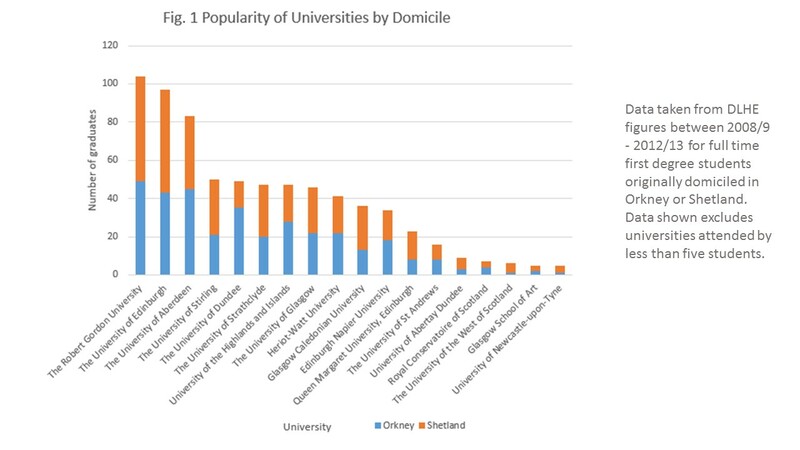 “Proximity” is important in deciding where to study for university. This proximity is, however constructed in terms of social and cultural familiarity as well as simply geographical distance. Personal challenge is an important part of going to university. Students typically chose locations which had an element of challenge but which were ‘close enough’ to remain manageable. However graduates still lack professional confidence, and typically see the first years after graduation as a key period to build up their professional experience. For many graduates it is felt that this may be best done away from their home communities. There is a strong theme of wishing to return to the islands at some point in the future, this is often associated with having children and settling down, with the islands being identified in terms of familiarity, homeliness and comfort. Some graduates do return home immediately, either viewing this in terms of ‘settling down’ or in terms of having a break from their studies and recuperating at home before moving away again. However even the graduates who return home more permanently typically do not rule out perhaps ‘going south’ again in the future. I finish the paper with further discussion and indicate a few areas for further research. In particular I note that there is a potential interrelation of place-based habitus with other forms of habitus – including occupational and class habitus. Class in particular is something I’m becoming increasingly interested in (as you will have seen from my previous blog) so you can probably expect to see more from me on that particular topic in the not too distant future! I hope you enjoy the paper and as always if you’d like to comment to let me know what you think that would be fabulous – your comments are fantastic for pushing my thinking on these issues! Categories: Uncategorized | Tags: Bourdieu, confidence, Entry to Higher Education, familiarity, graduate destinations, Habitus, higher education, island, Island Studies Journal, Orkney, proximity, shetland, sociocultural | Permalink. I have just read “The Outrun” by Amy Liptrot, and what a great read it was! Amy’s book is an autobiographical account of returning to Orkney from London and her struggle with alcohol addiction. Returning to Orkney, Amy reflects on her upbringing (on a sheep farm in the West Mainland), her drive to leave the islands as a teenager, and her return to the islands, newly sober. Trying to make sense of these movements, Amy’s book is a fascinating read for people interested in the experience of growing up on islands, and the movements of young people from islands. Much of what Amy describes will be familiar to other young people in Orkney and Shetland (and in fact young people in rural communities generally). In particular she describes having a ‘great drive to leave’ (p112) the islands, to experience life elsewhere, and to get off ‘the rock’. The world away from the islands is characterised as full of potential, as exciting and boundary-free (in contrast to the boundaried life of the islands). However, alongside this sense of excitement is a sense of risk, and of possibility tipping into excess, notably Amy describes the ‘temptations of the lifestyles elsewhere’ (p111) – with the word “temptation” summing up the attractions but also potentially the addictive or excessive nature of urban life. Having left the islands for London life, Amy describes the challenge of maintaining a sense of ‘reality’ that encompasses these two very different lifestyles: ‘When I am in London, Orkney itself seems imaginary. I find it hard to believe that this life is real when I’m down there’ (p112). The challenge of creating a narrative (such as Amy’s book) or indeed to simply be able to understand your own personal story depends on being able to resolve contradictions and present a coherent narrative. Having two different experiences of lives can therefore present a real challenge – who is Amy when she is in the city, and who is she when she is in the country? One interesting potential for working with this tension appears in the book through the use of technology – Amy is online, blogging and communicating with a global audience even when she returns to Orkney and she notes that: ‘since I’ve been sober and in Orkney, I’m online more than ever as a way of keeping myself linked to the old life I’m not prepared to cut ties with.’ (183). Technology offers a way of ‘linking’ lives together, allowing her to ‘be’ in several places at once. However, the potential of technology goes further, creating a virtual space that feels more like ‘home’ than potentially either London or Orkney. She uses the internet to research what she is seeing in the sea and sky of Orkney, to connect with people, and to explore herself, she says ‘I’m using technology to take myself to the centre of something from my spot at the edge of the ocean. I’m trying to make sense of my environment’ and ‘often I feel as if my real life is inside the computer while my time back in Orkney and the people I see here are just a temporary intrusion’. The world that Amy presents is certainly very ‘placed’ with Orkney and London being the two poles of her world, but at the same time technology allows her to be in-between, and in fact to create a space which is uniquely her own. This being ‘in’ two lives, and creating her own space is perhaps an experience that, for Amy, with her own biography is relatively familiar. As the child of English parents who moved to Orkney she describes not really feeling like she belonged in Orkney, feeling ‘too big and too English’. However, this familiarity doesn’t mean that it’s a comfortable experience, and I couldn’t help remembering Giddens’ ideas about how globalisation and the rise of technology has created particular demands on people in terms of creating and maintaining their sense of self. With our cultural expectations of living a life ‘independent’ to our parents, it is easy to see how returning to a family home, to the resources of your parents may be experienced as a ‘failure’. In addition because Amy doesn’t feel like she ‘belongs’ in Orkney, she doesn’t have the comfort of returning to a wider social context that feels like ‘home’. Here Amy is clear that where other people might move to Orkney for lifestyle reasons or for the nature, for her there is not so much ‘choice’. The fact that she is in Orkney is almost by default, and this makes it difficult to ‘explain’. Indeed it is quite possible that many of us end up in places (careers or locations) that seem to happen by default, or by accident and with limited planning. However, this doesn’t make for a good ‘story’ and as such we may rationalise these decisions, or (at least) present them as rational. But in this case, how can Amy present her decision? For her, as for other young people raised in the islands returning home may simply be a practical decision, and finding an interim job like being the ‘Corncrake wife’ can then be the reason to stay for a little while, and then a little while longer; and before you know it you are ‘stuck’, or as Amy says ‘Orkney keeps holding on to me’. Overall the book was a fantastic read, very well written and absolutely fascinating for me from my research perspective. Amy’s writing is clear and honest and articulates a particular experience of growing up, leaving and returning to the islands so incisively. I have to say it was also a delight to read so many Orkney stories all woven together with Amy’s very personal story. As the cover matter states it is ‘astonishingly beautiful… a luminous, life-affirming book’ which I would strongly recommend – even if you are not studying a PhD in the experience of young people from island communities! Categories: Uncategorized | Tags: Amy Liptrot, island, Leaving, migration, Orkney, Outrun, Returning | Permalink. 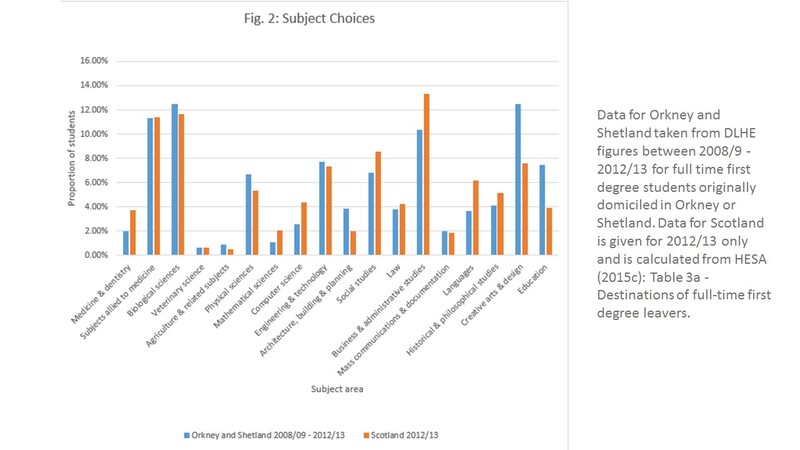 So, as part of my PhD I have been looking at the destinations of higher education graduates who were originally based in Orkney and Shetland. I have looked at data collected as part of the annual Destination of Leavers from Higher Education (DLHE) survey over a five year period and some initial observations were published recently in the latest Graduate Market Trends. 3. A surprisingly high number stay in or return to the islands after graduation, with almost 40% of those whose location is known six months after graduation being back in the islands. This suggests a more complex migration picture than a simple ‘brain drain’ from the islands. 4. There is a marked difference between the proportion of men and women progressing to higher education, with approximately 63% of graduates from the islands being women. Women also appear more likely to move back to / stay in the islands after graduation. Now, given that the numbers in this sample group are very small it is difficult to draw firm conclusions from these observations. It is also important to note that in order to get a big enough sample size I have used historical data from the last five years, and so the experiences of students now may have moved on slightly from when this data was gathered. However these findings do give an indication of some interesting areas that may merit further research…. Categories: Uncategorized | Tags: Aberdeen, DLHE, GMT, Graduate, Graduate Market Trends, higher education, Orkney, shetland | Permalink. In my last blog I was discussing how being at the ECADOC summer school got me thinking about the potential for collaborative research looking at cultural differences in the impact of rurality on career development. In this blog I want to consider what this research might look like…. So, during the ECADOC week one of the keynote speeches was from Ronald Sultana who talked about his experience of doing research in different cultures, particularly in Europe and in the Middle East. He challenged us to think about how our research relies on mainstream notions of careers guidance that may not be shared by all communities or cultures. For example, we are largely used to talking about ‘careers’ that are about individual choice and self-fulfilment, however these concepts may not be shared by everyone – for example in some contexts it may be more common to talk not so much in terms of careers but livelihoods, where work is a “curse”, and where notions of individual choice are not as salient as community expectations, and determination by external factors. His examples of different contexts included Maori contexts, Indian and Arab contexts and class cultures. 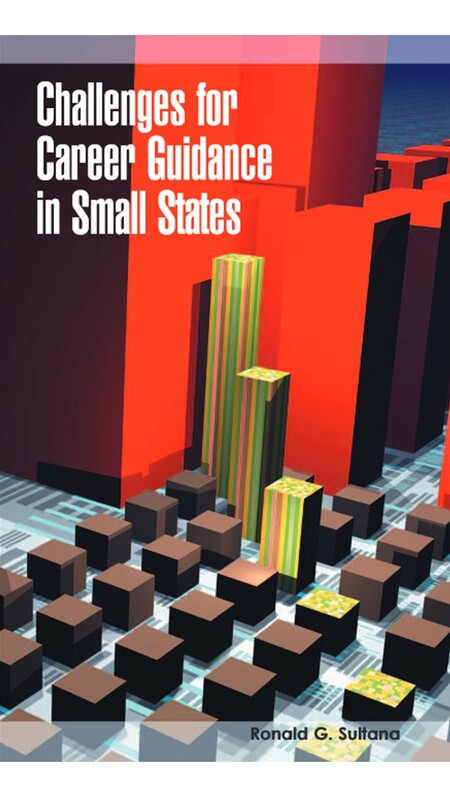 Interestingly he also included ‘small states’ in this set of contexts, considering particularly how in small states career choice may be different to commonly assumed ‘norms’ because of the scale. So for example, in small states it is common to have a ‘chameleon career’ – that is one characterised by shifting career identities, occupational multiplicity, and shifting expertise. In addition the small community may lead to a career that is more influenced by personal ties, with employers commonly familiar with applicants prior to application, and sometimes exhibiting favouritism based on personal knowledge. Now, Sultanta’s approach is obviously very interesting to me, he is the only person I have come across to have articulated some of the experience of career development and careers guidance within small communities. However, what this also got me thinking is about the intersection of different cultures – for example, class cultures and small states, how do notions of career differ between classes within a small community? And how do notions of career differ between different small states with different cultures? So for example, Sultana himself is from Malta, so how do Maltese notions of careers differ, say from those in Orkney and Shetland? At the most basic level, I bet that Maltese students don’t feel that some of the appeal of moving away is for warmer weather, like some of the students I interviewed back in April! Indeed when I met Ronald at the ECADOC conference he mentioned how escaping the heat of Malta for the relative cool of Paris was a particularly attractive feature of the summer school! Considering how different cultures intersect I’m sure there is scope for some kind of comparative study, looking at the experience of different island groups for example in different parts of the world. Perhaps something for the future? Categories: Uncategorized | Tags: class, Collaborative Research, culture, ECADOC, Malta, Orkney, shetland, small states, Sultana | Permalink.